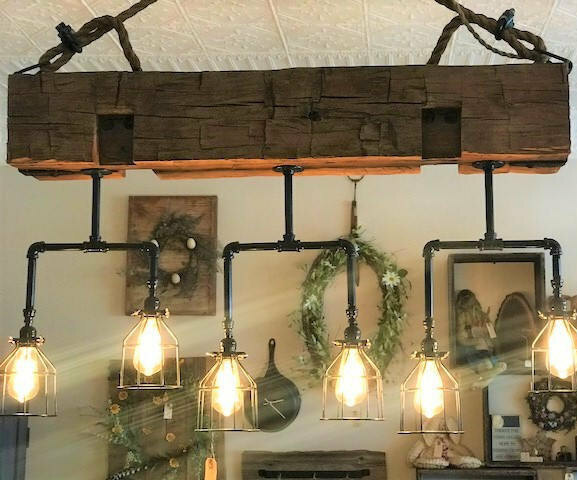 Hand-hewn barn beam with 6 vintage Edison Bulbs and mounting brackets included. The beam is 5×7 and 60 inches long. We also offer custom work for every shape and size, contact us with your needs.